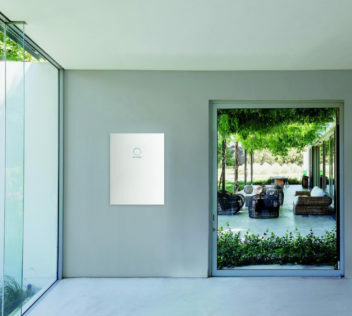 Sonnen are a global market leader for battery storage units. Founded in 2010, sonnen have become one of the fastest-growing technology companies in Germany. Sonnen incorporates the desire for a 100% renewable world with their vision. They see a world in which everyone can meet their energy needs through decentralized and clean energy. They want to give everyone the technology to connect and share energy where and when it is needed. Achieving this will see the emancipation of our dependence on fossil fuels and anonymous energy corporations. 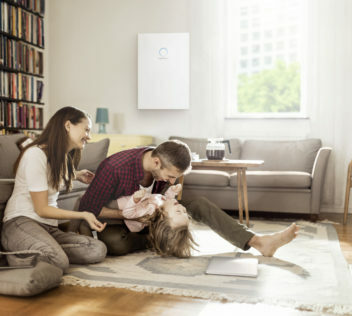 We are proud to partner with this German powerhouse and introduce the sonnenBatterie to Australian households. Quality from the market leader: 10-year full warranty. Extra-long battery life with over 10,000 charging cycles. Safe and durable cell technology: We focus on safety. That is why we use lithium iron phosphate cells that are stable and durable. Expandable: Designed as a modular storage system that is adaptable and expandable according to your energy needs. Safety and Longevity. 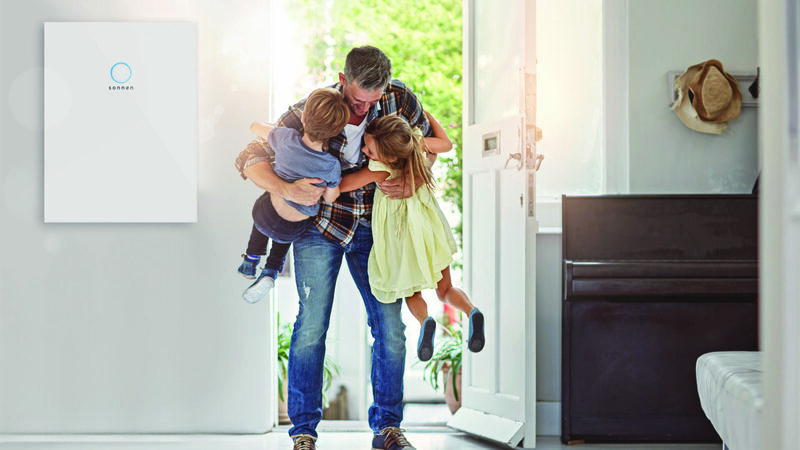 You can rest assured knowing sonnen have the safest, longest-lasting storage solution in the solar industry. Ready-to-connect and intuitive: A compact high-tech system that includes battery modules, inverter, management technology and the latest software. 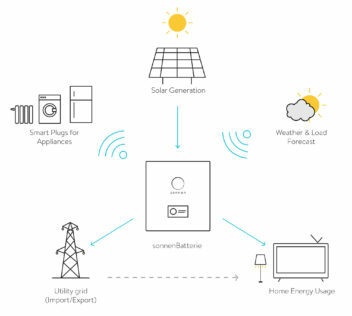 Smart home-ready: The sonnenBatterie optimises your solar energy consumption through intelligent accessories and connections. Access to the sonnenCommunity: Gain access to the world’s largest independent clean energy sharing community. 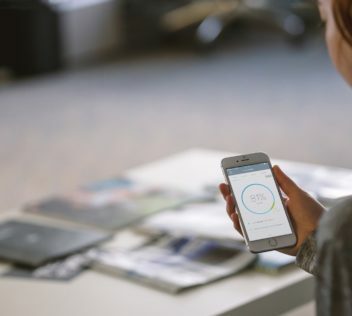 Mobile control: Keep up to date with your household energy through the sonnen app and our customer portal. ‘Smart’ Battery. The energy management system automatically monitors and adjusts as needed – so you don’t have to worry about a thing. Mobile Monitoring. With the sonnenApp and web portal, customers can monitor and manage their energy usage. This also enables us to troubleshoot remotely, meaning we don’t need to worry about accessing your property to solve any issues. Minimal Environmental Impact. Sonnen batteries are made from eco-friendly products (95% fully recyclable). The longevity of sonnen batteries also eliminates the need to regularly discard and replace solar batteries. Guaranteed storage. Life of batteries under warranty is limited by the number of cycles during its operation. Most batteries will claim up to a 10-year warranty however they will limit the number of cycles under warranty. Sonnen offers a 10-year, 10,000 cycle warranty meaning they guarantee more storage than other battery brands. Intelligent Energy Management System. sonnenBatterie isn’t a simple battery – it constantly monitors and adjusts the charge/discharge ratio to best suit self-consumption. Dynamic load management. The energy management system means it will discharge to meet specific loads throughout the whole day, rather than just charge in the day to meet their night-time load. Home automation. The ability to set up control relays means sonnen can take charge of the big energy consumers and set parameters for when they are run. 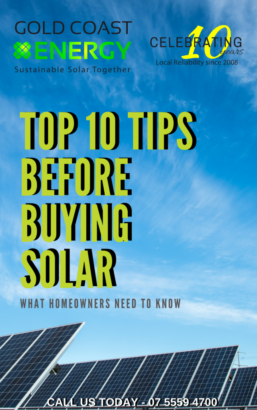 For example – the sonnenBatterie can be programmed to turn on your pool pump in the middle of the day when there is excess solar or heat the electric hot water or charge the electric car battery. Get a sonnenBatterie today. Contact Gold Coast Energy to purchase a sonnenBatterie and for any inquiry. If you wish to know if you can add it to your existing solar system our team will be able to help.